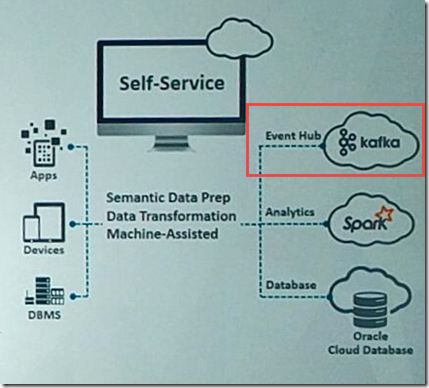 In various keynote sessions during Oracle OpenWorld 2016, Apache Kafka made an appearance and some there was an indication of a Kafka powered Event Hub as part of the Oracle PaaS fabric or family of cloud services. 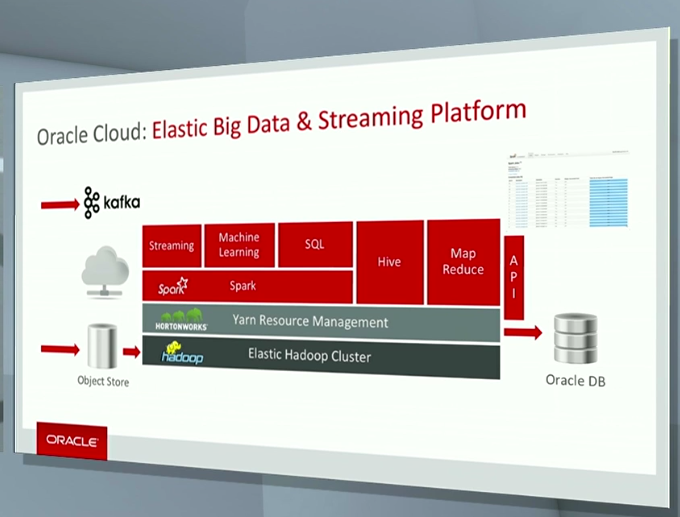 Kafka would make it feasible to have the Oracle PaaS Cloud handle fast data and real time events in a well organized, structured manner – and make these events readily available to multiple consumers in a uniform way. 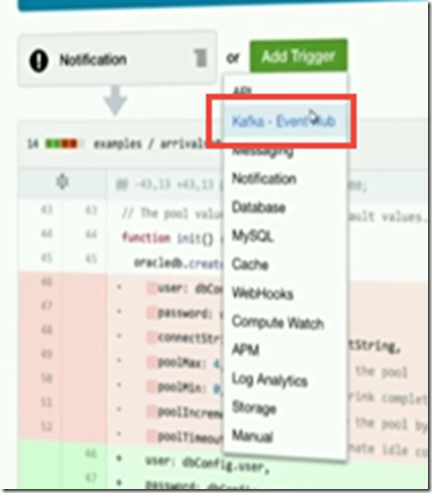 Oracle Functions – jobs executed in a serverless architecture – for example can be triggered by an event on the Event Hub as well as trigger such an event themselves – see next screenshots. 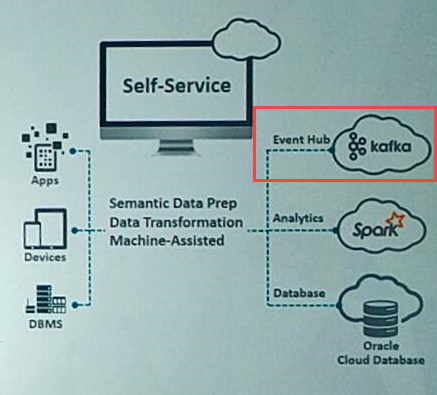 Kafka is the perfect landing pad for large event volumes – to capture them in a safe manner and make them available for processing by multiple parallel consumers. Machine Learning – one of the popular themes – is typically driven from large data volumes that arrive in real time and have to be captured and analyzed to derive models from. Once the models have been derived, real time data – events- is analyzed and fed into the models in order to predict outcomes and/or derive recommendations. In both stages, Kafka can play a role, as is illustrated by this next screenshot. 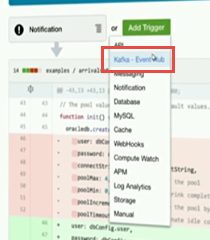 The Oracle Stream Analytics product (fka Stream Explorer, fka Oracle Event Processor and CEP) also works with Kafka, using it as a source for events to process – and as a target as well. 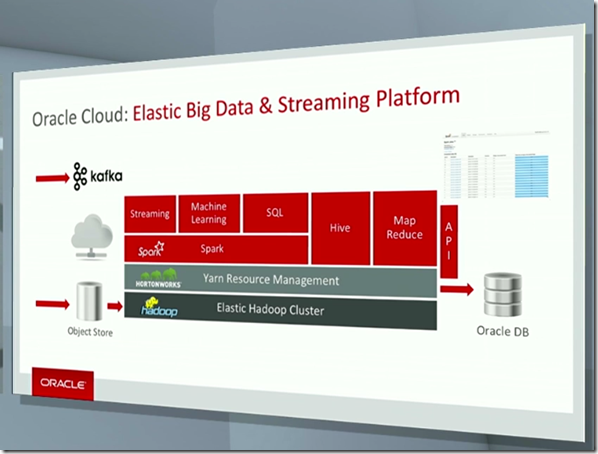 Read https://guidoschmutz.wordpress.com/2016/05/05/oracle-stream-analytics-osa-the-new-oracle-stream-explorer/ (by Guido Schmutz) for more details or check out http://www.rittmanmead.com/blog/2016/07/stream-analytics-processing-kafka-oracle-stream-analytics/ (by Robin Moffatt) for even more background.